All Tropic Water Service Techs were on hand for some continued training with Waterlogic engineers. A big mahalo goes to Jeff the director of Engineering and Technical Service, and Debbie the Director to Independent Dealers. 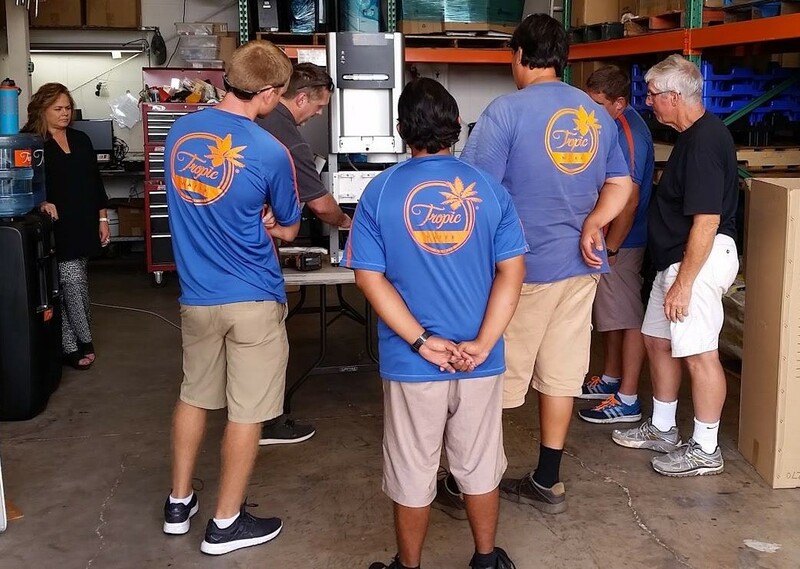 Thank you for coming all the way to Maui to help further our training for Waterlogic Bottle-less Coolers. Not only helping us understand how great of a product Waterlogic manufactures, but also how everything has been researched and designed to get the purest water possible. We are even more confident that this is a product we can stand behind and offer our customers the best Point of Use coolers on the market.